So, I was reviewing a few Sitecore log files for a customer of ours, and I kept coming across the following entries. So why wasn’t that being used? 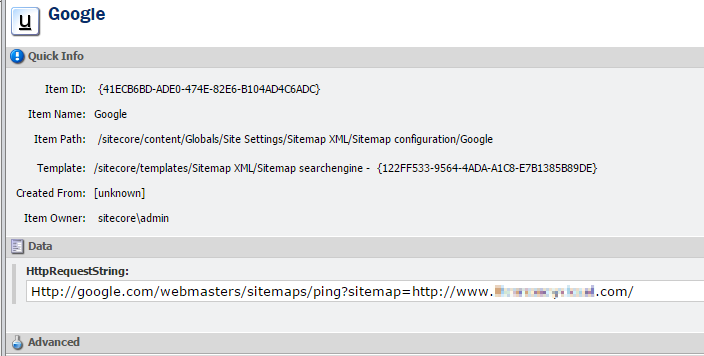 The SitemapXML.config file contains a setting “serverUrl” that lets you set, well, the root path for a sitemap. This is then used in the sitemap xml file itself, which is good. Unfortunately, this is not used in the search engine ping – thus the problem above. I decompiled the SitemapXML module’s code to check, and it really isn’t used in the ping bit. at all. Unfortunately, if there is an exception OF ANY sort, it logs an error message saying that the request returned a 404 error. This is sad – The calls to the Google ping service were returning a much more informative 400 – Bad Request. Remove Yahoo. You don’t need it. Update Live Search to use Bing. Republish all the stuff you just updated.